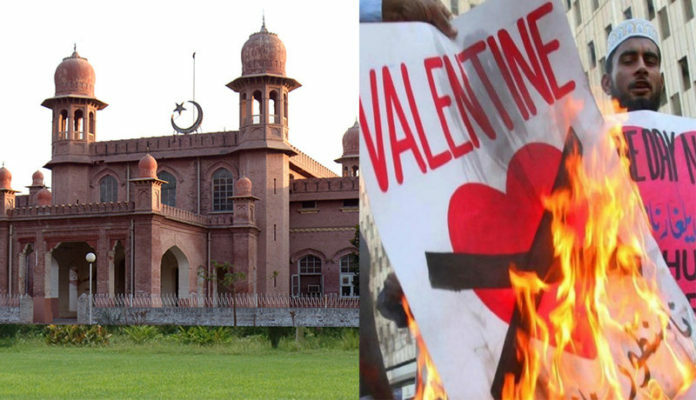 Ridiculous and meme-inspiring news is taking rounds of social media; it is about the decision of University in Faisalabad, Pakistan to celebrate Valentine’s Day as Sisters Day in the name of promoting Islamic Traditions. We are sure that students must be more than happy as they may not have got a chance to give chocolate or flower to their fellow ‘sisters’. But, now they will be able to give them a scarf or Abaya openly. It seems Valentine’s day poses a serious threat to Pakistan’s cultural fabric. Every year, when the event is just around the corner we come across news about authorities taking action to discourage the public celebration of this day. Like, two years back Islamabad High Court banned celebrating Valentine’s Day in Public. This year, it is this Sisters Day thing. According to media reports Vice Chancellor of Faisalabad Agricultural University, Zafar Iqbal explains that aim of Sister Day is to promote respect for women. But when did Valentine’s Day mean that men shouldn’t respect women? The idea was instantly mocked on social media with reference to Jaime Lannister’s incestuous relationship to her sister Cersei Lannister. Like, if changing the name of a day was enough make both genders respect each other. What is So Absurd About It ? Pakistan is very divided on the matter of celebrating Valentine’s day. Conservative believe that it is a western phenomenon. They simply see it something with the potential of corrupting the social fabric of East. Even on the eve of Valentine’s day one rarely spots men and women exchanging flowers, chocolates, and gifts in public places. But, the Sisters Day will give men a chance to openly give something to women that too in an educational institute. The idea seems nothing more than a lame attempt to tell the world that East respects its women more than west, which is not the case. In sub-continent walking women on road are a very rare sight, not because they are not allowed to walk out of respect but due to the fact that a woman walking on the road is never seen with respect and most of the times is subject to harassment. Living according to one’s choice is not simply an option for women. Many girls in university wear Abayas because they perceive it to protect them from predators, while this is simply not the case. The instinct of opponent is sharp enough to scan through the cloak. As this Pakistani journalist points out, how men are asked to tell women how to dress. And, I agree with this man because idea merely seems about the strengthening of patriarchy, where women don’t have a right to dress according to their choice.